Media Farmers Market is Rain or Shine! The Market is Rain or Shine! The weather report is looking a little soggy for this weekend, but never fear – the Market is rain or shine! So break out your umbrella and galoshes and take advantage of all of our great produce and other products while they are still in season. 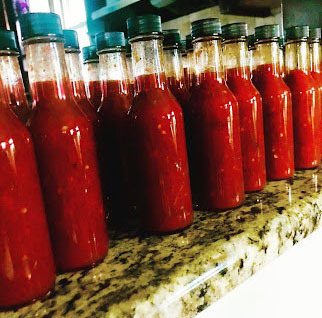 Hazel and Ash will be at the Market this week with a new sauce, Sweet and Spicy! Come check it out and take a bottle (or three!) home with you. They can make suggestions for the best meat and veggie pairings for this sauce. Padron peppers are in at Kneehigh Farm! 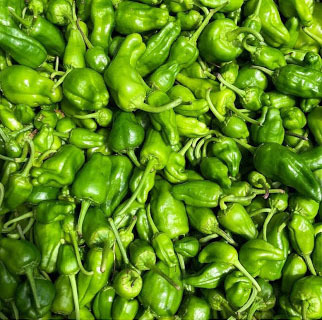 Never heard of padron peppers? Come check them out and have all your questions answered; including the best way to eat them! We hear blistered with local honey and salt is a favorite preparation at Kneehigh! Keepin’ Sharp as the Season Continues! This Week: Sharpen Those Knives! 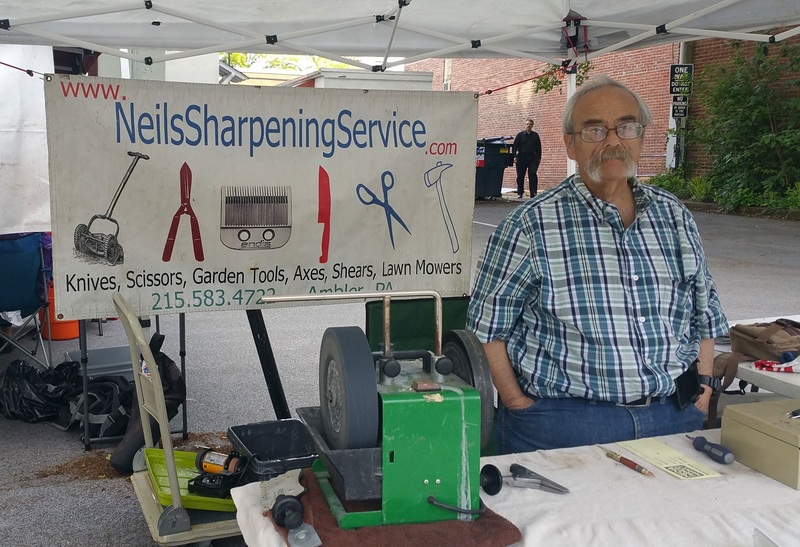 Keep those kitchen tools in peak condition with Neil’s Sharpening Service at the Market this week! Make your work in the kitchen and around the yard just a little easier. Bring your knives, clippers, garden tools, lawnmower blades and more out to the Market this week, and get them sharpened while you wait! Do you need a new best friend? Then come checkout the adoptable dogs Rags 2 Riches will have at the Market this week, and find out about all of their adoptable pets. They will also be selling dog bandannas and dog treats with all proceeds going to the shelter. 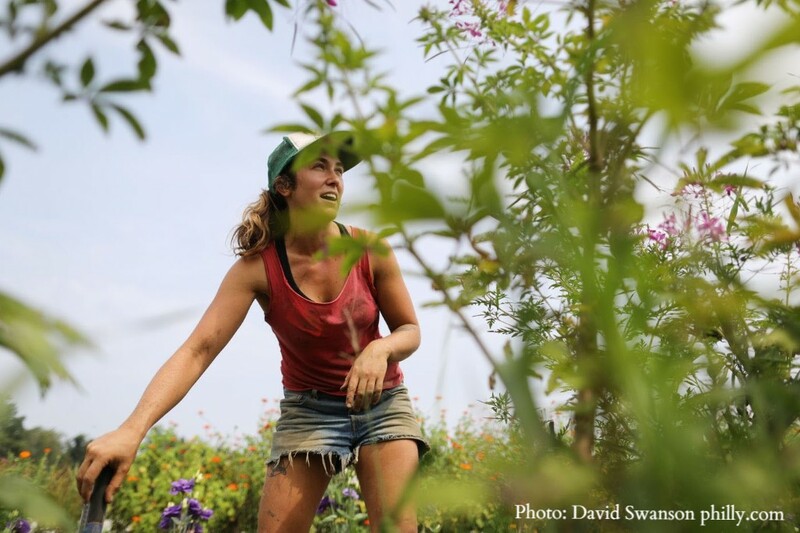 In Pennsylvania and across the nation, only about 14 percent of farmers are women. Even rarer are farms entirely owned and operated by women. Check out this article that features our own Emma Cunniff of Kneehigh Farm, which is entirely run by women. 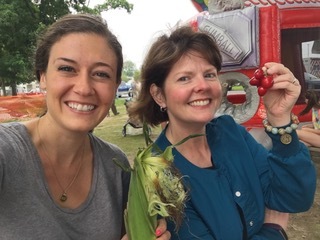 “I think having a farm run by women with an all-women crew can be inspiring for other women who are interested in getting into agriculture,” Cunniff says in the article. Click here to read the full article on philly.com. 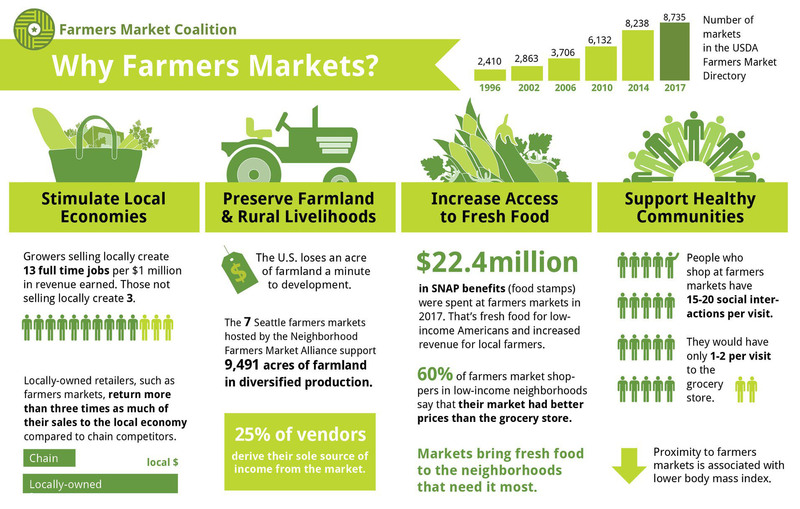 Did you know that certain vendors at the Media Farmers Market accept WIC checks? 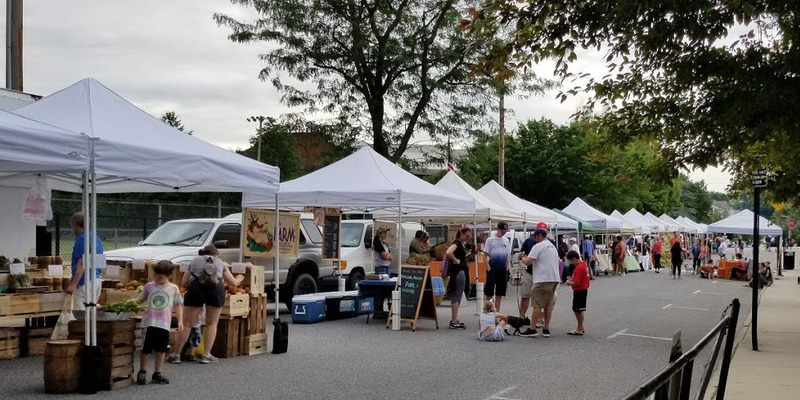 Pennsylvania Farmers Market Checks (FMNP) can be redeemed from June 1 through Nov. 30 and can be used on any fresh fruit or vegetable actually grown in Pa. Other items such as baked goods, jams or fermented foods, any prepared foods, or fruits and vegetables grown outside of Pa are ineligible. Kneehigh Farm, Sharrah Orchards, and Robin Hill Organics all accept WIC checks. Stop by the vendors or the Manager’s Table for any questions! August is Pennsylvania Produce Month! It’s the most abundant, most bountiful time of year and it’s only going to get bigger and better every day. Visit the Market for a great variety of veggies: tomatoes, summer squash, greens, herbs, peppers, cucumbers, peaches, corn, and so much more! We’ve Gone to the Dogs at the Market! Meet new vendor Ashbell’s Smoked Meats! Prepared with generations-old “Southern Style” methods and quality standards, while using a unique, modern palette of global spices, herbs and flavors, founder Chef Ashbell McElveen 2 is kicking it global while keeping it local. Ashbell’s uses slow-food artisanal methods, locally-raised meats and wild-caught or responsibly-farmed seafood. There are no preservatives in Ashbell’s products, and all are vacuum sealed and ready-to-serve. Rags to Riches is letting the dogs out this week at the Market! 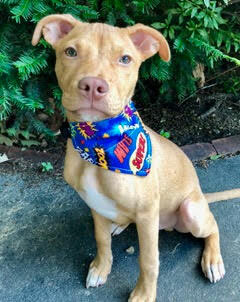 Not only will they be bringing some adoptable dogs to meet you, they will be selling dog bandannas and dog treats, the proceeds of which all go to the shelter. 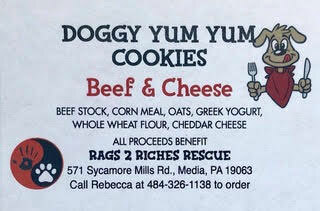 Rags to Riches is a nonprofit 501c3 foster-based, all breed, no kill animal rescue based in Delaware County. They are made up of volunteers and foster homes that care for and socialize the animals. Most of their rescues come from deplorable conditions or neglect and need medical attention and lots of love. New-Bee Ranch will be returning to the Market this week. 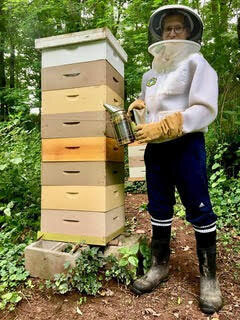 A small, family-run farm and apiary from West Montgomery County, New-Bee Ranch will have varieties of local honey fresh from the hives, plus their family recipes of fermented foods and pickles, all using locally grown ingredients from the neighboring farms or from their own garden. 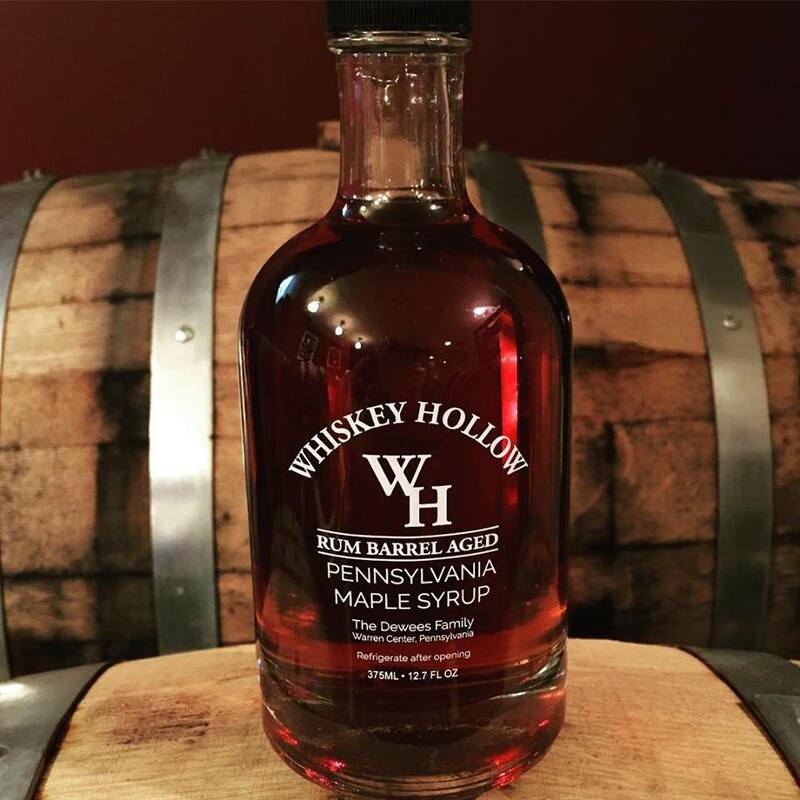 Whiskey Hollow will be bringing a new release this week: rum barrel aged syrup! This syrup is Pennsylvania maples syrup slow aged in a Manatawny rum barrel – it won’t disappoint! We’ve Got the Blues at the Market! 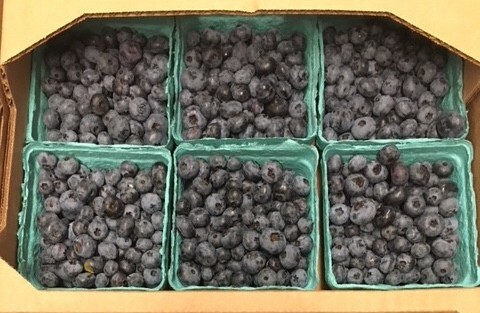 Sharrah Orchards is bringin’ the blues to the Market this week: blueberries! Stop by their table for lots of fresh blueberries. 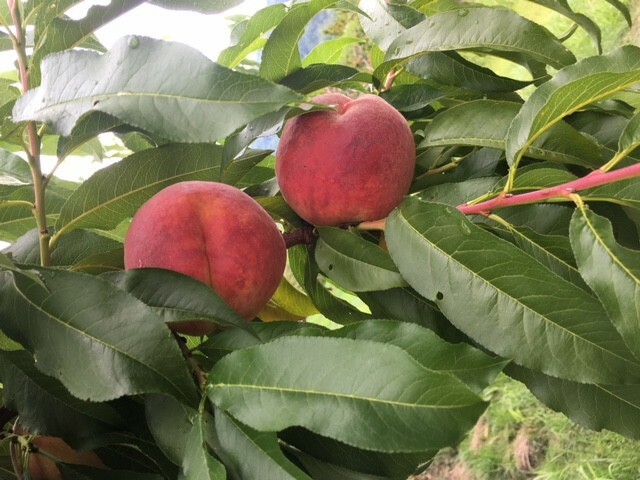 This week they will also have the first of the season’s freestone peaches! 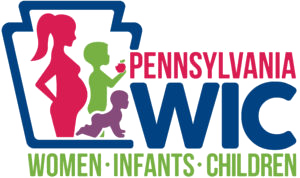 The Foundation for Delaware County WIC Program will be visiting the market this Sunday. An experienced nutritionist will be on hand to answer questions about how to get kids to eat a greater variety of fruits and vegetables. There will be seasonal recipes available, as well as a fun game for the kids. All participating WIC families that stop by their table will receive a reusable grocery tote with measuring spoon, measuring cup, and will be eligible to enter a drawing for a toddler MyPlate!